Many people ask us about the Caja because we know it so well. We know it well because we use it extensively. Gloria had surgery in the Caja, and I’ve had a multitude of procedures done within the Caja. Additionally, we use our local clinic (EBAIS) for our basic, everyday health concerns. Consequently, we know how the system works and we’re going to share some of that information now. If you’re truly interested in CCSS (Caja), watch this video of Paul getting a CT Scan through the Caja. It will show you what’s possible. Who should use the Caja? You’re paying into it. After all, you are required by Costa Rica law to join the Caja if you become a legal resident, so if you’re paying for it, why not use it? You want to defray some of your prescription costs by getting them through the Caja (generics only are available). You have a medical emergency and need to go to the emergency room (Urgencia). You want to learn the public healthcare system and integrate into the community. All of the reasons above pertain to us, especially #1. From Butterfly in the City, page 153-154. Used with permission. A good acquaintance of mine does everything privately. His advice is to look at your Caja payment as a tax, just for the right to live here. Other expats use it for some of their medications, but go no further than that. And some expat residents don’t use the Caja at all. If you were to ask 10 expats what they thought about the Caja, 9 would give it a “thumbs down.” They may have heard bad things about it or had a negative experience themselves. But the Caja has been around since 1942 and, obviously, they have done some things right, as the Costa Rican lifespan is one of the highest in the Western Hemisphere. Like many Ticos, and some expats, we use a combination of the Caja and the private medical care, when necessary. 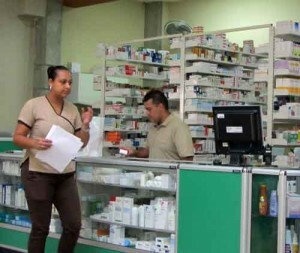 Even though it was rated highly by the World Health Organization, Costa Rica’s Caja is socialized medicine and socialized medicine has its limitations. Still, for many things, it’s more than adequate. Like in the U.S., as a doctor’s patient, you need to be proactive about your health and ask the doctor questions about your tests, medications, and if you should be referred up the ladder to a specialist. As you can see by the graphic to the right, I started the process at the local EBAIS and was referred to our local Caja hospital in San Ramon. The specialist I saw referred me to another specialist at Hospital Mexico. 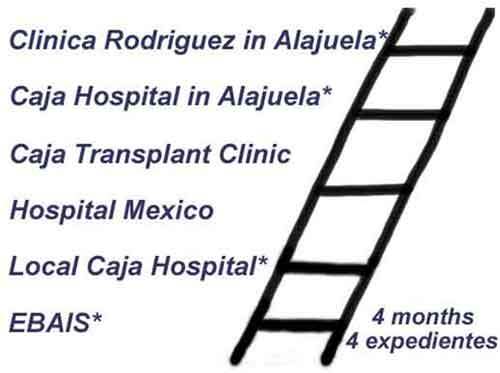 At Hospital Mexico, I was told to go to the transplant clinic down the block. 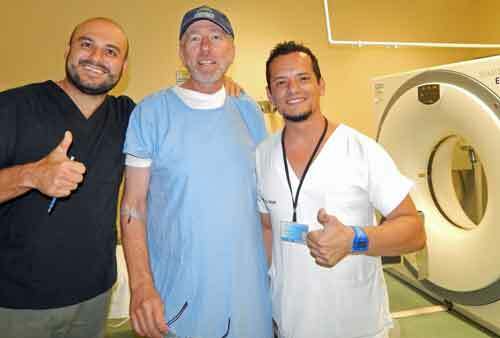 The transplant clinic took one look at the referral and said that I needed to see Dr. Moreno at the Caja hospital in Alajuela. 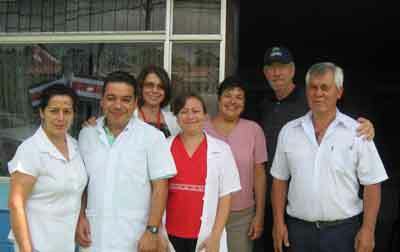 Once there, I was referred to Dr. Moreno’s office at Clinica Rodriguez in Alajuela. The whole process took just four months and a lot of running around. 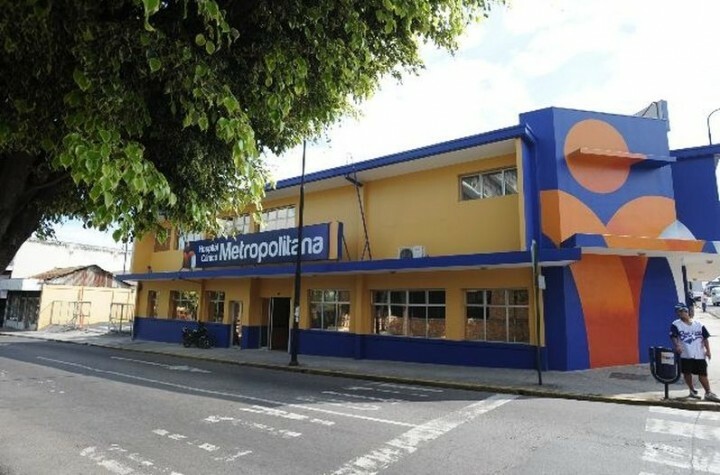 Along the way, I accumulated four expedientes (patient files) and, over the next several months, I traveled between the hospital (where all of my tests were done) and Clinica Rodriguez (where I saw Dr. Moreno) in Alajuela. So, not only do you need to be proactive, you need to be persistent and patient! Expediente means “records.” It’s your file, usually paper, with all of your medical records. You’ll have an expediente at every hospital or clinic you go to. 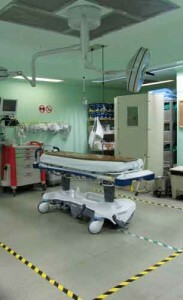 As you get referred “up the ladder,” each medical facility will create a new expediente for you. 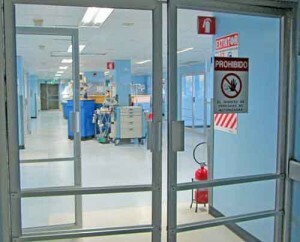 You start your expediente at the Afiliación window, which is located at all major hospitals and clinics. Ask for your file and make copies of everything – blood tests and other test results, anything you consider important. 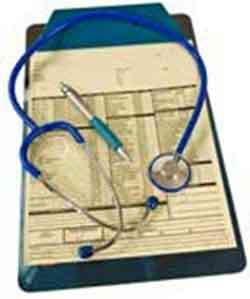 You can put the copies in your expedientes at other clinics and doctor’s offices, to keep them up to date. Plus, it may save you from getting a new test if the results are recent. It’s your health, so be proactive. Your specialist may refer you to other specialists; you don’t need to start over each time at your local EBAIS. Once you get to your final specialist, he will eventually discharge you when the outcome has been reached. Your local EBAIS is where healthcare starts, so go there personally. If you don’t know where it is, ask a neighbor. (You can get preliminary EBAIS location information at this website: http://www.ccss.sa.cr) Get your first expediente. And get to know the clinic staff as we have. The EBAIS usually has a receptionist, nurse, visiting nurse, pharmacist, and your primary physician. You can’t choose your doctor but you will normally have the same doctor each time you go (with the exception of vacations and personal days). Most districts in Costa Rica’s 81 counties have at least one EBAIS, though this can vary slightly, According to population, some districts have more than one EBAIS. This is how Costa Rica brings health care to the people. The full name of the Caja is “Caja Costarricense de Seguro Social (CCSS). The Caja is something you can do if you need or want to. If you don’t speak or understand Spanish, look up some key words to describe your symptoms and concerns; you could also bring along a Spanish-speaking friend whom you trust. When might you NOT use the Caja? When time is a factor. If you’ve been diagnosed and you’ve determined that you must be treated immediately or very soon, it may be better to go privately. If you’ve got plenty of money, you can afford INS, Costa Rica’s private health insurance, or an international health insurance policy. All of the private hospitals and clinics will readily accept it. Some hospitals even have their own medical plans. If you are already using the Caja, have a diagnosis, and they give you a date for non-emergency surgery months or years in advance, you may be forced to go privately if your symptoms are severe. This is why we say, have a reserve fund for emergencies. Your monthly Social Security or pension may not be enough to cover emergencies, health or otherwise. Also, if you are from the U.S., keep you Medicare B if you can afford to do so. You could get your procedure done on a visit home. You never know what will happen and it’s just one more way to be prepared. As you will see from reading the rest of this newsletter, people’s experiences with the Caja vary. So much depends on the individual doctor or other healthcare provider. Two people can go to the same hospital, for instance, and have completely different experiences. This can be true with private healthcare in Costa Rica (or anywhere) as well. As we say in the article above, “it’s your health, so be proactive,” just as Bob and Linda were in the following article. It’s isn’t a bruise like we thought……. Linda fell on a section of very rocky road near our house on Friday and hurt her right shoulder. We thought just soft tissue damage but planned to go to our local Caja hospital clinic today for an X-ray just to be sure. Well, we ended up in San Juan de Dios Hospital in San Jose. Long story short, she’s broken the arm just below the shoulder joint and has been admitted to hospital. It’s somewhat “elective” surgery so she may have to wait a day or two to get into the operating room to have pin(s) inserted to the break. It’s apparently a clean but total break. I just got home to retrieve some stuff for her and have to drive back right away to take the things to her. I may be a tad late getting back tonight. Hospital rules are that family can only visit one hour per day (6-7pm). Some of the staff speak a bit of English. Day 5 Update: Went to see Linda today after her messaging this morning that they moved her to a room on a ward. Turned out I was caught in the standard visitation protocol that I could only get in for an hour at 4pm. Stood in line with about 200 other visitors to get in but actually that worked smoothly, other than the guard confiscating the Gringo food I had in my bag for her. Linda is in a room with 6 other women (1 bed is empty so otherwise it would have been 8 in the the room). All nice ladies and all full Spanish, which is interesting. Linda has gotten to know them all a bit; I introduced myself to them all and had a bit of Spanish chat with them. Found out I could get a “permisso especial” to visit anytime I want based on Linda’s need for interpretive service plus assistance since she only has one functional arm. All in all she is doing very well. Visited Linda today with my “permiso especial” for about 4 hours. Got her through the shower routine (minus shampoo/soap – not provided by the hospital & I forgot to take them) and helped her eat lunch. She continues to manage the situation well and is having some conversations with her Tica roommates. Crossing our fingers for surgery to happen next week. I’ll be heading back down tomorrow to visit. No system is perfect. Social systems usually make you wait & private systems make you pay. CR does have both systems to give a choice. We’re using the social rather than spending $6000-$8000 to get it done privately. 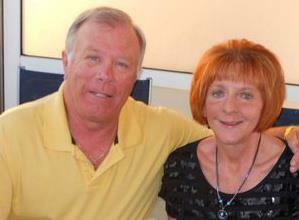 The big news of the day – The doctor told Linda she WILL have her surgery this coming week. Which day, who knows…..
Linda got word this morning that her surgery will be “very soon”. We’re suspecting it will happen tomorrow. Quick update on Linda: She had full shoulder replacement surgery Wednesday night at 10:30pm. Long story short, we concluded we were getting a runaround at the public hospital, moved her 2 blocks to a good private hospital with orthopedic specialty staff. 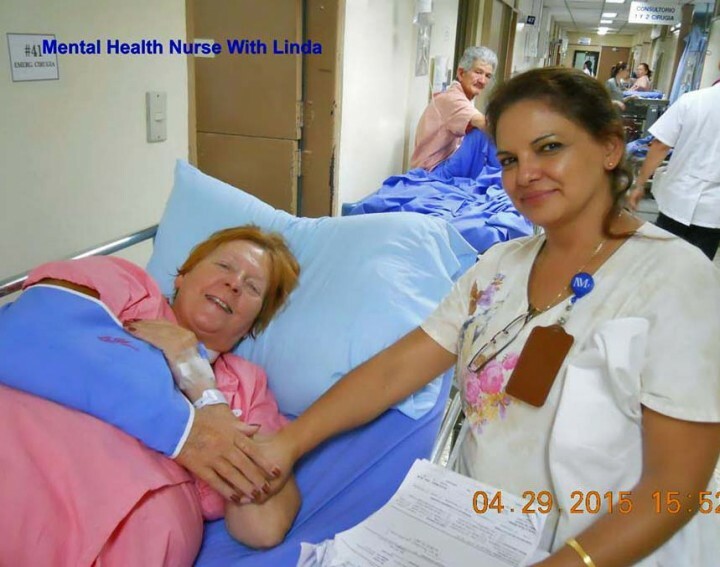 At Hospital Metropolitano, Linda was received, assessed and in a bed in a private room in less than 3 hours. Just EXCELLENT service! We dealt primarily with the surgeon – very respected young guy – he gave us face to face updates 4 times within the first 90 minutes and a couple more until the last one at 2am after the surgery was finished. The surprise to us was that the break was NOT below the shoulder, but was actually the right shoulder “ball” itself, broken into about 4 pieces. Hence the full replacement option was taken. Healing should be a bit quicker, but therapy will be involved. Thankfully, we have a great PT close to our home. The worst of the ordeal is over – finally! Linda should come home Friday. My Gal’s home after a harrowing 14 days. Fantastic hospital service and treatment but it had a significant cost that, hopefully, our U.S. insurance will cover. 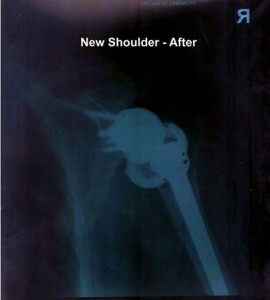 New shoulder should fully fix the problem. The hospital gave us the pictures. The shoulder ball was in about 4 pieces, too tough to repair. 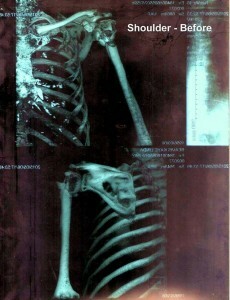 An artificial implant was put in instead. Surgery at 10:30pm last night, checked out of hospital at 5:30pm tonight. Word of caution: This type of (“elective”) injury was VERY badly handled by the CAJA hospital. In essence they told Linda (after 12 days), “You’re a Gringo. You should go to a private hospital or you may be waiting 2 months here for this surgery.” We were appalled and immediately moved to get her into a private hospital yesterday. The fault totally lies with the CAJA doctors who are apparently very arrogant and could care less about Gringo patients. 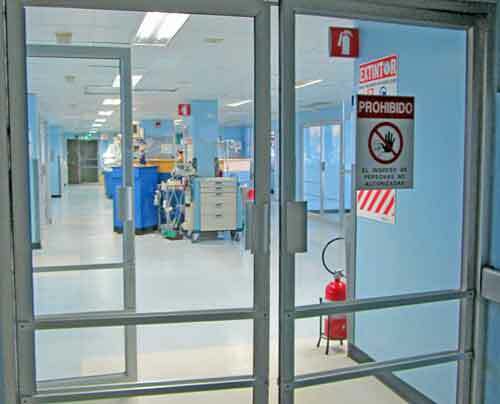 The other hospital staff at the CAJA hospital were generally good service, but a patient is expected to tend to themselves far more than the North American standard. 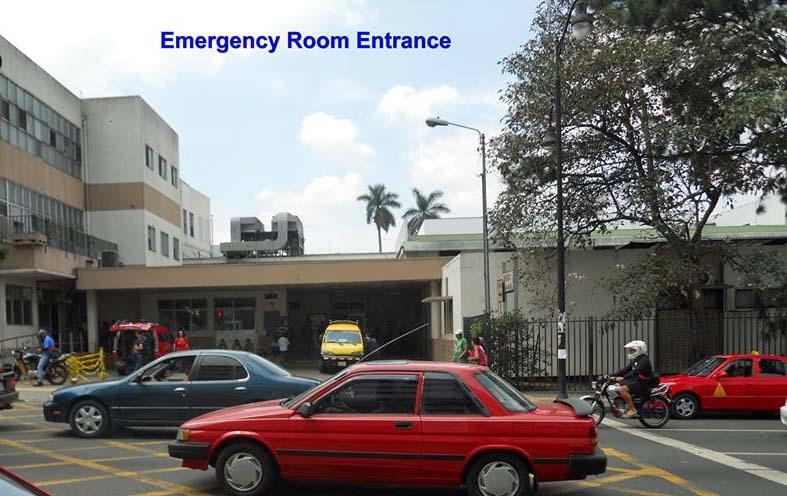 Much as we are very much not the “Rich Gringos” the doctor implied, we immediately took my wife to Hospital Metropolitano where we received immediate & excellent treatment. My wife had shoulder replacement surgery that night (not ‘a repair’ as she’d been told would be done at San Juan de Dios). We really felt, as Gringos participating in the CAJA, typically at higher premiums than Ticos, we are entitled to equal treatment in the CAJA and were being told we would not. The CAJA system here is not perfect. Some things they do really well. In Linda’s case, the initial triage was excellent. The problem was she was in a long line-up for surgery. In such cases, being able to access private hospitals is an alternative not found in Canada and is hard to do in the U.S. However, here’s another good example of the public system here, dealing with the sliver I got in my foot 3 months ago while at the beach. I left it for 2 months thinking it would work its way out on its own and it was an annoyance, not really bothering me too much. I finally went to our local hospital clinic emergency department where they tried to extract the sliver under some mild local anesthetic. The attempt was not successful but I was out of the emergency dept in less than an hour. So they gave me an appointment to come back for minor surgery this week. I went for the appointment, was put into a small surgery room where heavier local anesthetic was administered (ouch!) The ball of my foot was sufficiently frozen that I never felt another thing while the surgeon dug out what was a 3/8 inch, fairly thick sliver of wood. While we had moments of anxiousness in the public hospital, I came to realize that we simply were in a lineup within an overtaxed surgery slate for “elective” stuff. As I tried to clarify later, the outer ends of the spectrum have been very good (emergency or scheduled services). The other point I want to make is the saving graces of holding onto Medical A & B, and signing up for a Medicare Advantage plan for those retaining a home in the U.S. (See below.) The one we found included $50,000 of emergency coverage when out of the U.S. Our final tab at Hospital Metropolitano was $18,000. The reimbursement payment from the insurance came through at about the two month point, paying the claim in full, with no deductibles or co-pays. Update from Bob Beavis: I just thought I’d let you know that we have finally received word that our claim against our Medicare Advantage plan for Linda’s emergency shoulder surgery (on an out-of-country provision of the policy) has been approved. Payment in full has been confirmed and the reimbursement may hopefully be issued this week, with no deductibles or copays. 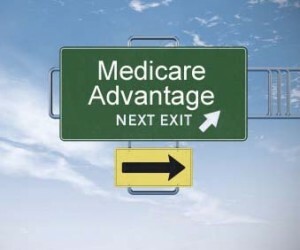 To review, there are many Advantage plans available for those who are covered under Medicare Part B. The plans are not all alike and offer different variations for deductibles, copays, etc. The particular one we located and subscribed was somewhat unique in that it offered an out-of-country emergency medical provision for up to $50,000. It, like other Advantage plans, typically covers medical expenses when provided within the U.S. Our main reason for seeking such a plan was with thought for a backstop coverage under Medicare should we encounter something chronic that would be best treated in the U.S. The out-of-country provision in the policy we chose was just an added bonus not offered in many Advantage plans. The key, of course, is that one must maintain a U.S. address. Many of us do this as a matter of course for various purposes (banking, credit card billing, etc.). The bottom line is that Gringos locating to Costa Rica (or other foreign retirement homes) are well advised not to forego carrying their Medicare Part B simply because they will be no longer living in the U.S. Having to return to the U.S. for treatment or, as in our case, having an Advantage plan with foreign coverage, is important for older folks who are eligible for Medicare. If one does decline Part B when first eligible & later decides to enroll in Part B, there are premium penalties imposed at time of enrollment that last for ever. One friend here had dropped out of Part B eight years ago. To enroll now, his premium (for life) will be $188/month rather than the normal $104.90. One other footnote to this is that the Advantage plan costs nothing over & above the normal Medicare Part B premium (currently $104.90 per month). The Part B is simply deducted from the monthly Social Security amount the person is eligible for. That Part B premium then is simply transferred by Medicare over to the Advantage plan provider as the provider’s payment for providing the Advantage plan. In summary, it is no-cost supplemental medical coverage. 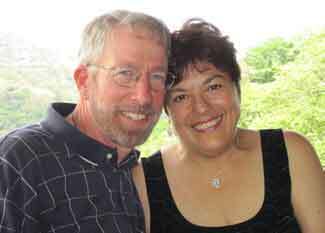 Just thought I would give you this update on our experience with Linda’s $18,000 shoulder replacement emergency medical treatment done at a private hospital in San Jose. It was money we DID have to pay up front and endure what has been a 2-month process in sorting out the claim with the insurer, and that has several hoops that anyone making such a claim needs to be aware of up front. In the end, however, it was a lot of money that we did NOT have to pay out of our pockets. 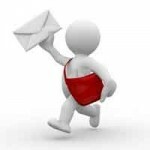 Our newsletters and posts generate lots of discussion, on our website, in emails, and on facebook. Here’s a glimpse into our mailbag about healthcare in Costa Rica. Last year, my husband, Blue, collapsed in our dining room in the early hours of the morning. I heard a noise and got up and found him unconscious. I called 911 and they called Red Cross ambulance. There was no one at the station and when they did finally get through, they still took about a hour to get to us, even though the station is only about a mile from our house. We took him to Clinica Biblica first, even though we had no insurance, because they had a file on him and he needed immediate help. He stayed there until I ran out of money and then we had him transferred to a public hospital, San Juan de Dios. He spent the first day in the ER and then they shifted him to ICU. He spent 2 weeks there and then he was moved to a ward. He spent a total of 2 months in a Caja hospital. The care he received was impeccable. The nurses were wonderful, the doctors so good. At one point, I was told Blue wasn’t going to make it but it almost seemed like the doctor was determined not to let that happen. I sat with the doctor for half an hour talking about what could be going wrong (no one knows my hubby like I do). The doctor changed some meds and did some other procedure and lo and behold, he saved Blue’s life. We were lucky in that we had an English speaking doctor and a couple of nurses who were also pretty good at it! Between my halting Spanish and their English, we got along just fine. I cannot say enough about the care he received through the Caja. Since then, he has been seeing a doctor at the Ebais regularly. She looks after him and me. And not a penny to be spent on anything other than the premiums which, to me, are very reasonable! I’m so glad we took Residency when we did. This whole thing could have been a financial disaster for us. By the way… the going rate for Clinica Biblica was about $4,000/day. Another North American was in San Juan de Dios while Blue was there and he had no Caja. They were charging him $1,000/day for everything. Thanks for the truthful and honest articles on the CAJA. All systems in all countries have had people with good and bad experiences, good for you to share yours. We have lived here 5 years, have used only CAJA the whole time, and have nothing but good to say about our doctors and treatment. My wife gets her yearly mammograms, goes in for a bone scan this week, I just had an echo-cardiogram, I go to a dermatologist specialist next week for a precancerous spot they found, and I have a visit with my internist and cardiologist every three and six months. I will say that, as with all things here, your experience is directly proportional to the amount of Spanish you speak. I just rushed a Tico neighbor to the local Caja yesterday. It was clear to me that he was suffering from malignant hypertension which was severe enough to cause nosebleeds and angina. The Caja doctor was cavalier and said he had been hit in the nose (when there was no history of that) and not to worry. I warned the family that he was at risk for a stroke or heart attack and that they should go to the hospital. He was admitted last night with a heart attack. My point? Not that the Caja is terrible. Just that there are always a few bad doctors anywhere. I’ve seen this in the US from time to time, too. Most doctors in most places are sincere and honest and caring. But like any profession, there’s a chance you’ll find a bad apple in the barrel. The Caja saved us about $75,000 and most importantly saved my husband’s life. When a U.S. doctor, a few years later, saw the work, he said it was very well done. My Spanish is entertaining (not good) and I get along fine. So don’t let bad Spanish stop you from using the Caja. And too, when I got here I had some health issues that puzzled the U.S. doctors, for years, within just two appointments (private doctors) the problem was solved—-I was extremely allergic to pork and peanuts. Our doctors can see us privately or work with us through the caja—we think this is wonderful! Well….just had a GREAT experience with the medical services in Costa Rica. I had to have an endoscopy done last night. May I say…I was fairly nervous but my doctor and techs were very calming, gentle, and kind. My doctor was ‘present’. He listened to me, alleviated my fears, then did the procedure. It cost $120.00 U.S — private care and no co-pay. When we receive our residency we’ll contribute to CAJA. In the meantime, we’ll do private. Awesome, quality, personal care. Have I said I love living here? There are some delays using the CAJA, compared to what most have been used to in the USA, but for us, it has been a great blessing. We moved here, in large part, for the health care system and have received excellent care. My husband has had cararact surgery for BOTH eyes, we get our prescriptions and medical visits and lab work done regularly, and also see dentists in the system, all without paying ANYTHING beyond our monthly premium. We’ve lived in Costa Rica for over five years and have used the Caja, Costa Rica’s public healthcare system extensively, as well as the private system, when needed. We’ve learned the system and have been referred up the ladder to see specialists in the maze that is the Caja system. Gloria’s even had surgery here. Our healthcare tours will generally be on a Thursday and Friday towards the end of the month, usually just before or after George Lundquist’s Retire on Social Security Tour. 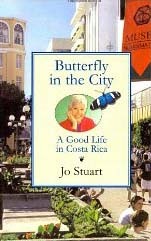 But, while it is focused on healthcare, you will learn a lot more about living and retiring in Costa Rica’s Central Valley. Most of the second day of the tour takes place in the town of San Ramón where we live and use the services. And you will come to our home for lunch that day to listen to two of our featured speakers. Our tour is designed to save you both time and money, packing a lot of information into a short period of time. Our goal is to show you the possibilities and to try to demystify Costa Rica’s healthcare system. Our tour lasts two days and 1 night and includes lodging, transportation, meals and non-alcoholic beverages. If the Costa Rican healthcare system could meet your needsand put your mind to rest, once and for all, about this sensitive subject. Introductory prices: $550 for a couple, $450 for a single. Please contact us if you are interested in booking this tour. Space is limited. “In essence they told Linda (after 12 days), “You’re a Gringo. You should go to a private hospital or you may be waiting 2 months here for this surgery.” We were appalled and immediately moved to get her into a private hospital yesterday. First, I want to be very clear that I am very happy for Linda’s outcome and wish her continued good health. Without having met them, they seem like very nice people that would not have behaved in a way to evoke harsh feelings from anyone. I very much appreciate them sharing their experience. 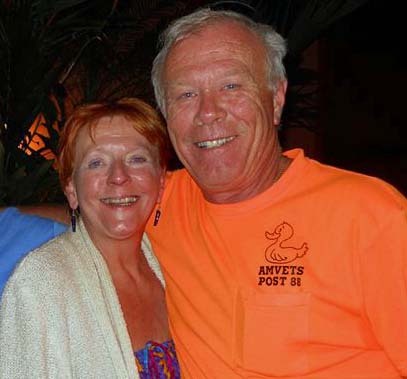 Why might they have been treated the way they were for Linda’s injury by the physicians? How much are expats paying for CAJA? Less than $1,000 per year? What is the value of the treatments received? Often, considerably more. Who is paying for the difference? Costa Ricans. As an American I do not appreciate knowing that my tax dollars often go to people who misuse social services. No matter who they are or where they are from. Why would Costa Ricans feel any differently? Many expats move here when they are older and retired. All of us will require more medical care as we age. I do not feel it is responsible to have the expectation that we will utilize a system that we have contributed very little towards. I view CAJA as an additional tax of which there are many. It can be avoided by being a perpetual tourist and making a border run every 90 days and staying out of the country for 3 days or you can just pay it. All expats should have private insurance. It’s expensive compared to the CAJA, but now the risk is shifted to a company and away from the Ticos. The CAJA system is already struggling, so we should not add to the problem. Physicians are the most aware of this which may explain the harsh feelings towards Gringos by some of them. 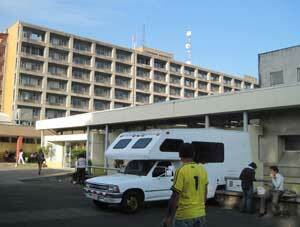 The fact that the quality of healthcare in Costa Rica is relatively high is important. How we access the system is also very important. The Big Mac index was invented by The Economist in 1986 as a lighthearted guide to compare purchasing-power in different countries. The cost of a Big Mac in Costa Rica is very close to that of the United States which means the cost of living is also very close. If you choose to live frugally in Costa Rica or the United States it is a personal choice which I support. Take a look at the large number of drivers of Porches, BMWs and Land Rovers flying down Ruta 27 and you will see that they are nearly all Ticos. They are chasing, “The American Dream” which is why there is close parity with the US in the cost of living. I realize I may be offending many people who have a different view. I do not feel I have the right to tell anyone how they should live. All I ask is that people try to see it from the other side and fight to perpetuate the negative stereotype that exists. I realize generosity can be expressed in many ways and not just financially. It is important to me to be considered a generous expat and I still have a lot of room to improve. Just to let your readers know there are private medical options in Canada. This includes shoulder replacement surgery. However I personally do not know anyone who has used it. I know Americans often hear of people on long waiting lists in Canada, but sometimes there are reasons for the delay. For example a co-worker waited a while to have knee replacement surgery. She also was a diabetic, and did not follow her doctors orders. She was told her diabetes had to be stable before they would operate. I myself have never experienced any delay in surgery unless you consider twelve weeks for an elective surgery is long. Even for test such as a MRI I have always gotten in, with in a reasonable time. You may get an odd time for the appointment, they run 24 hours a day. The items that make it to the media are exceptions and often like media everywhere they leave out information that takes away from the drama of the article. Thanks paddicakes! We’ll share this info with our readers.